BJ: KOL-Marketing – Why It Works and How To Do It Right! 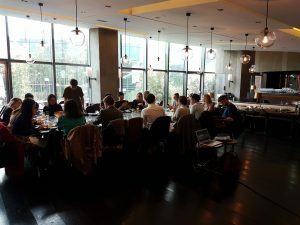 Beijing, April 10 I This Tuesday SwedCham Beijing hosted a breakfast Sharp Talk at Sureno Restaurant in Sanlitun together with marketing genius Elijah Whaley, CMO of PARKLU, to discuss KOL-marketing and how to implement it in the right way. Since the emerge of KOL (Key Opinion Leaders), the digital age has seen a shift in marketing and today up to 70% of Chinese consumers born after 1995 prefer buying products directly via social media than other channels. This indicates that the usage of KOL-marketing can generate six times higher consumer engagement than brand campaigns. 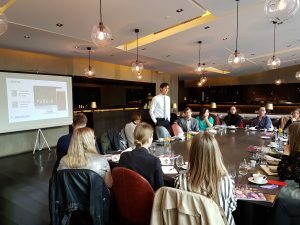 During Mr. Whaley’s presentation he presented pros and cons with marketing on different Chinese social media platforms, what to think of when partnering with KOLs and engaged the audience with both stories about success and lessons learned. Sharp Talk is one of SwedCham’s event categories, and open for anyone who finds the subject interesting. 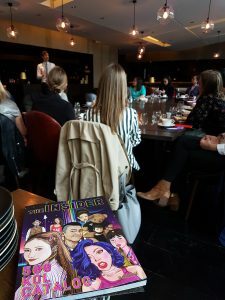 Please click here to find out more about our upcoming events and to learn more about KOL-marketing click here to follow Elijah Whaley.